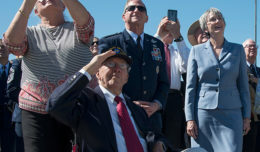 ALBANY, N.Y. (AP) _ The Pentagon says the remains of an American pilot recovered in Europe are being returned to his New York family for burial 73 years after he died in a bombing mission. 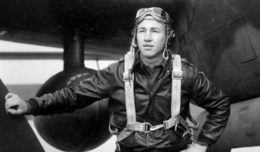 U.S. military officials said Nov. 28 that Army Air Forces 1st Lt. Robert Mains, of Rochester, N.Y., was the 27-yearold pilot of a B-24 Liberator taking part in a raid over Germany in early April 1945. His plane was shot down by enemy fighters near the German town of Ludwigslust. Only one member of the 10-member crew survived. In 1997, a Pentagon team traveled to the town and found aircraft wreckage. Other teams returned in recent years and found bone tissue that was identified as Mains’ using DNA samples provided by his family.